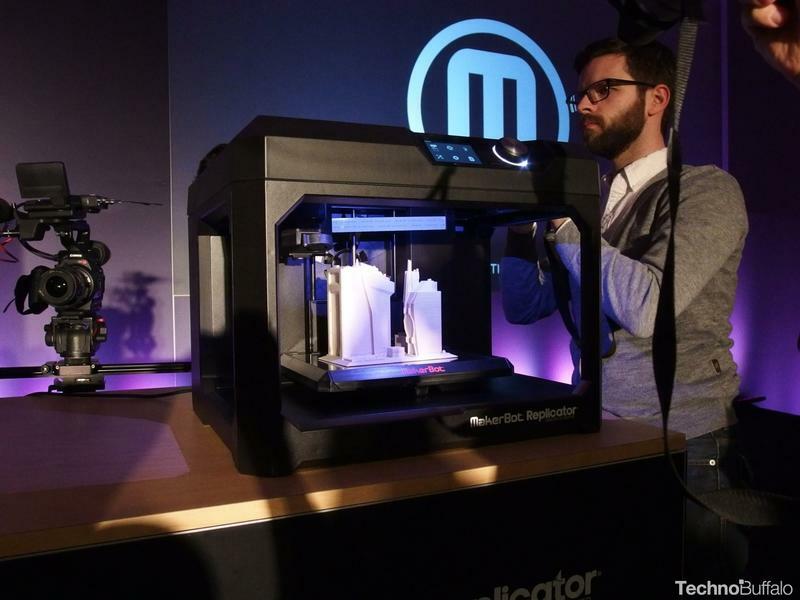 MakerBot showed off three brand new 3D printers on Monday in an array of configurations, giving enthusiasts and creative types multiple options to choose from based on their needs. Schools, for example, will likely find the company’s new Replicator Mini quite useful in the classroom, which is a small little box that offers easy one-touch 3D printing. Each new printer comes with similar components so they’re essentially on the same plane internally; the sizes are just what differentiates one from the next. 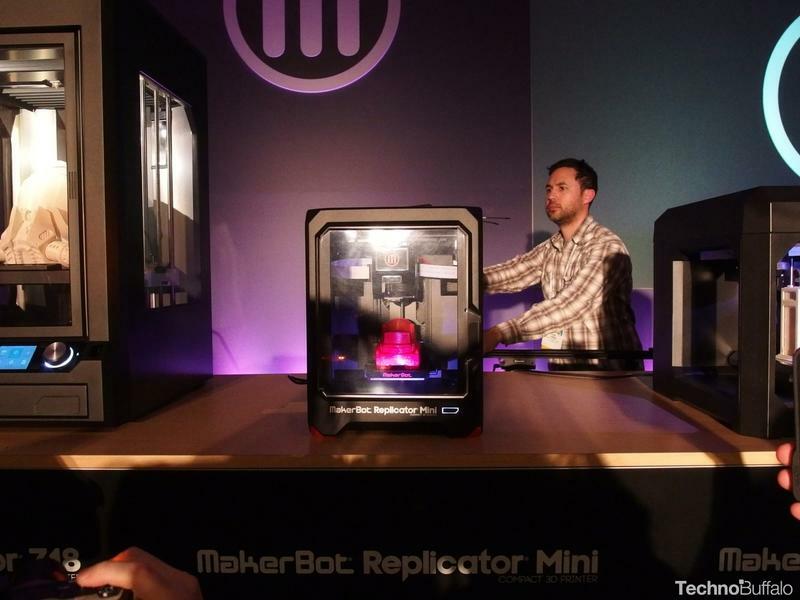 Shipping in spring of 2014 for $1,375, the MakerBot Replicator Mini is a compact piece of technology that is perfect for the beginner because of its “plug and play” design. Everything about the Mini is straight forward and easy to use, and it still allows for users to flex their creative muscles. The thing is little, and can easily sit on a desk or a counter space without getting in the way; think of it as a companion cube of the 3D printing world. Moving to MakerBot’s middle brother, its new Replicator is the company’s third in the same series, and comes with some new technology that will allow for the best experience yet. The Replicator has an 11 percent larger build volume and faster print times over its predecessor, so you’ll be churning out prototypes and models in no time. It’s definitely bigger than the Mini, allowing you to make larger objects, but it’s actually the technology stuffed inside the Replicator that makes it so impressive, though it’s pricier at $2,899. The same technology is spread across all three models, as I said. 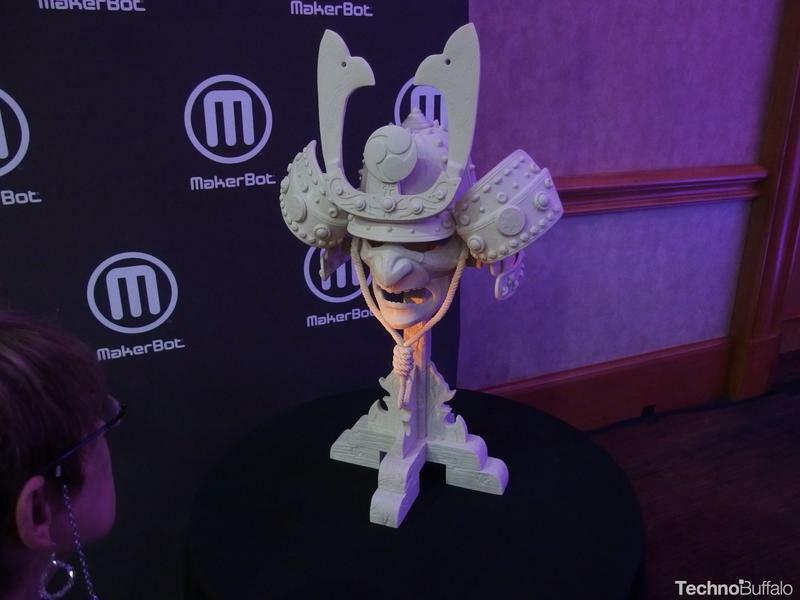 MakerBot’s third hardware announcement was a new Z18, which gives users a massive build volume to work with, giving them the opportunity to create some pretty spectacular stuff. Coming in spring for $6,499, the Z18 certainly isn’t cheap, but that extra build volume should allow users to build some awesome stuff. The company today showed off a crazy mask created inside the Z18, and you almost couldn’t believe it was spit out by that same machine on stage. What makes the three new MakerBot hardware so special is the development of internals. Each MakerBot—even the Mini—comes with what the company called a Smart Extruder, which detects when filament is absent so you don’t lose a print; instead, the device will simply pause until you swap your filament. MakerBot has also included an on-board camera in each new hardware, so you can monitor what’s happening at all times. You’ll be able to see how far along your project is, and even get an estimate for how long it’ll take to complete. All three are cloud enabled, too, to ensure for a seamless and productive workflow. In addition to MakerBot’s hardware, the company is also dabbling in the development on apps for both mobile and desktop, including an all new printshop, which offers a Type Maker, Bracelet Maker, and Digital Store. The apps on desktop will be available for Mac and Windows for free, as will the app on mobile; MakerBot’s iOS app will be available this sprint for free, with Android set to come later this year (no precise timeframe was given). 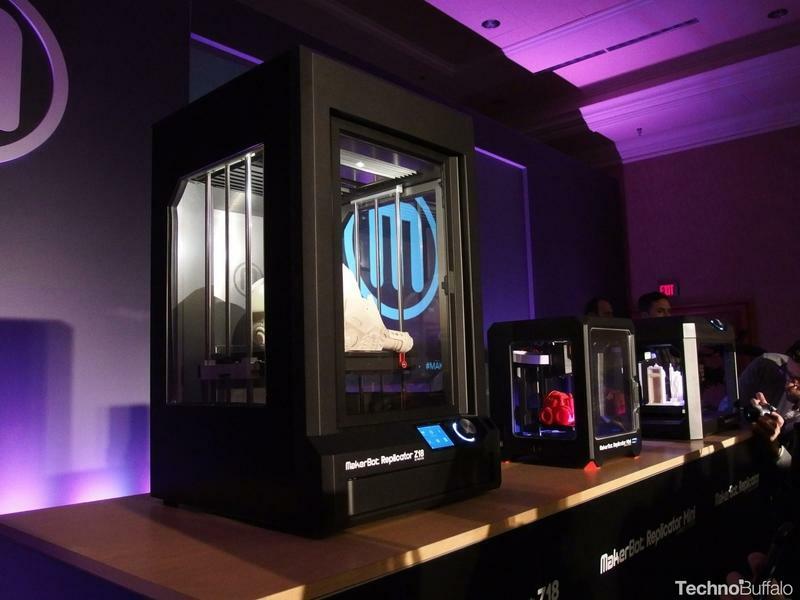 If you’re into the 3D printing market, MakerBot has some exciting stuff for the future. User have done some impressive stuff with MakerBots—the company showed off how we’re now capable of making 3D prosthetics, which is quite amazing when you consider how accessible and live changing that is. 3D printing is still an expensive market, so you’re unlikely to simply go out and buy one for fun (unless you’re serious about it), but it’s impressive how much you can do with a little black box at your house.